We offer 8-14 yard containers with a 4 ton maximum. Small truck perfect for tight areas. Let us come with the dumpster to load and haul away your trash. From attics, basements, garages, apartments yards and more. 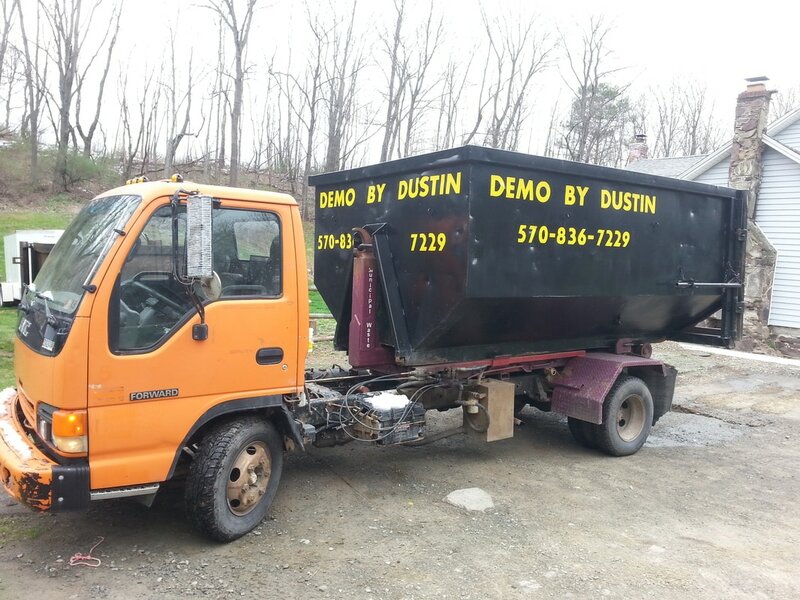 We will remove scrap metals from your property. With the ability to cut up and remove vehicles and equipment in hard to reach areas. Firewood, Wood Shavings, Salt and Cinders, Stone, Top Soil, Mulch and any other local product. Please excuse our appearance as we recondition our equipment. Dumpster prices include 1 ton and 7 days for any size container. If you do not see your town use the closest town. Please call for pricing if your town is not close to those listed.